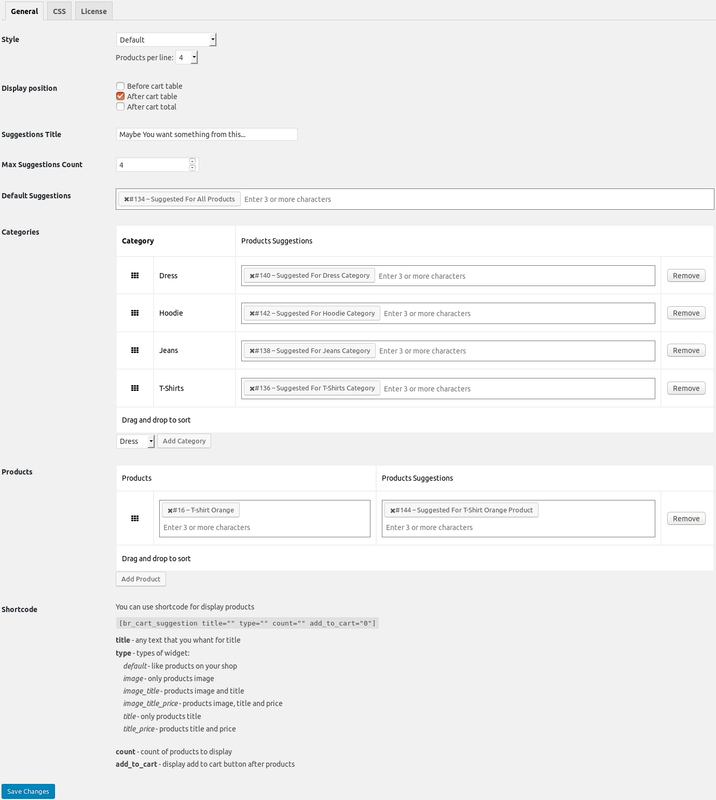 Displays some additional products for your customers after cart. 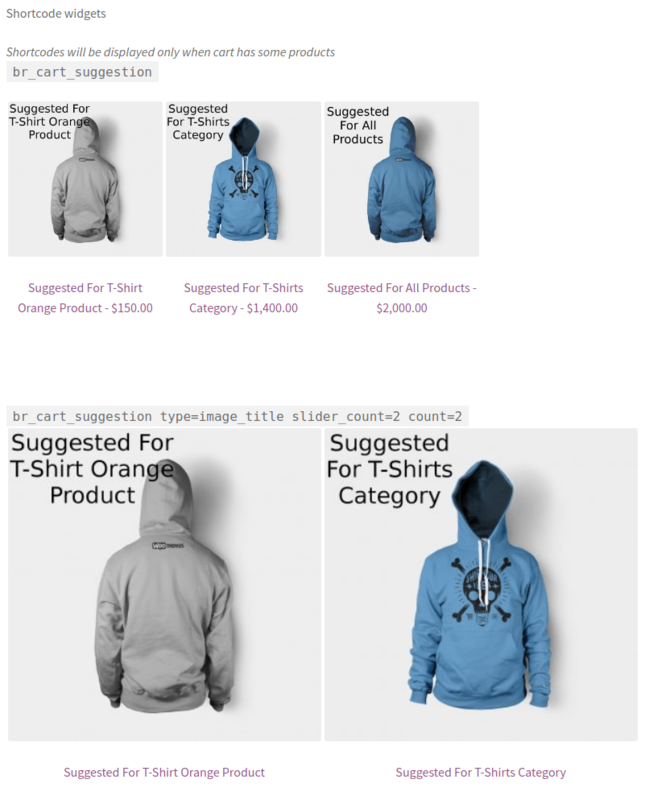 WooCommerce Cart Suggestions plugin displays some additional products for your customers. Maybe your customers want some more products from your shop, but don't know about it. 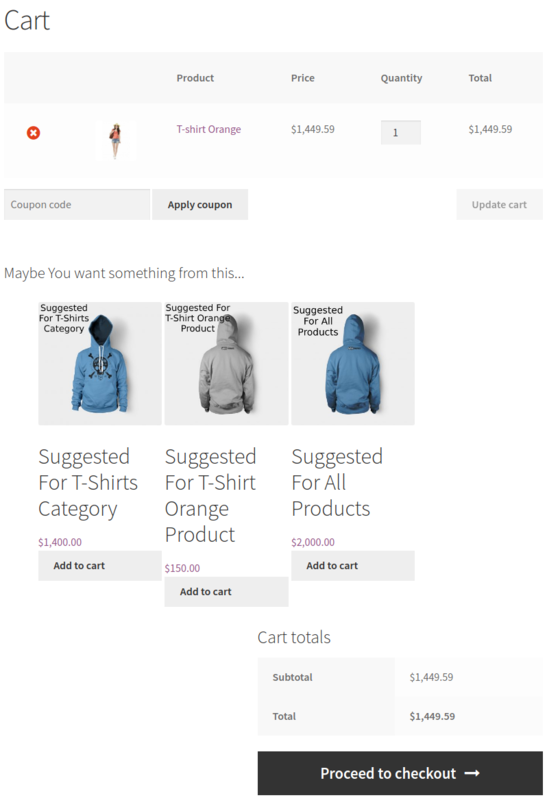 You can display products, that will be suggested from current products in cart. This plugin works good enough & makes it easy to catch e-commerce customers in suggested products loop easily if the plugin used efficiently.